Enter your information HERE to gain access to GREAT homes in the Carolina area. Also get email alerts when new Carolina homes are available..
Bad or NO Credit? We Have Owner Financed Homes in Carolina Available For You! If you’re tired of renting, and you want to own a home in Carolina but your credit, lack of down payment, or income is holding you back from qualifying for a normal bank loan. We can help you! We help people become homeowners without bank qualifying. We are not Realtors. We specialize in helping Carolina residents earn the satisfaction of being a home owner through our Carolina Owner Financing Program. Neighborhood Housing Group offers great homes in and around Carolina… in conjunction with our help to get your credit up so you can purchase the home in as short of a timeline as possible. You are not renting the property or renting to own. You are buying it. Want to know when the best properties hit the market? Sign up now to see Carolina homes! 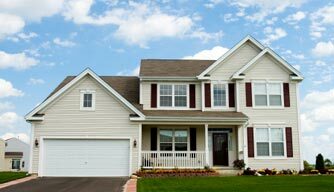 What Are The Types Of Homes In Carolina We Offer With Owner Financing? We are a local company that offers our properties to deserving families with a reasonable down payment and the ability to pay a monthly payment comparable to rent. Do You Offer Mobile Homes? We offer single family homes and doublewide mobile homes with land. 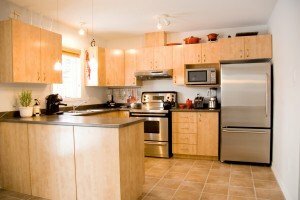 We have found that many home buyers like and even prefer double wide mobile homes, because for the same price they can get a newer, larger home with more amenities such as vaulted ceiling, garden tub, island in the kitchen and more on a large lot. Step 2: We’ll look at your situation, the type of property you’re looking for, and show you your options here in Carolina. Step 3: View the local Carolina homes that fit what you’re looking for. START below and see our available Homes in Carolina!